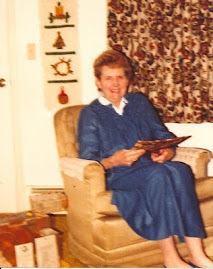 This recipe came from Family Circle magazine, but was part of Grammy's collection. No copyright infringement intended. -To make the Meringue shell: Beat egg whites with cream of tartar until foamy white. Beat in 1 cup sugar a tablespoon at a time until meringue forms stiff peaks. Butter 9" pie plate. Spoon meringue over bottom and up sides to form shell. -Bake shell at 275 degrees for 1 hr. Cool. -To make Lemon filling: Beat egg yolks in double boiler until frothy. Beat 2/3 cup sugar in until mixture is thick. Stir in lemon rind and juice. Cook over hot -not boiling- for 13 minutes. Stir constantly. Cool. -Spoon filling into meringue shell. Refrigerate for 12 hours. Top with whipped cream. 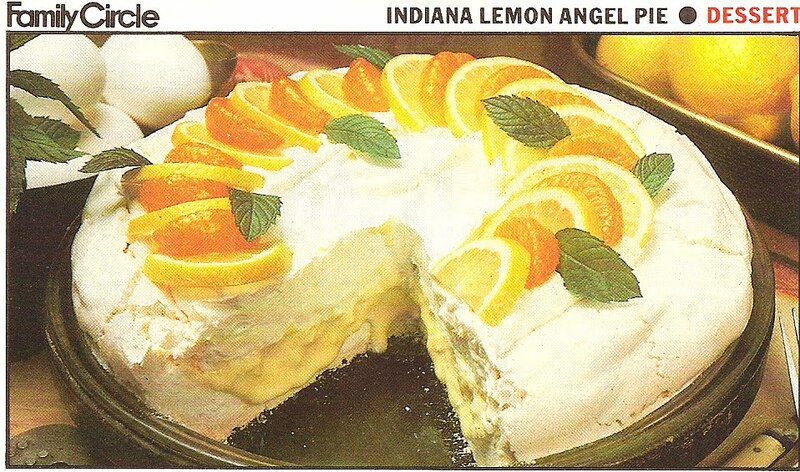 Decorate with orange and lemon slices and mint.